Under the undemocratically elected government Michel Temer, powerful corporate agriculture companies are dictating the Brazil's national agriculture policies, which prioritizes fulfilling foreign markets at the expense of ensuring Brazilian food sovereignty, according to a report published by Gerson Teixeira, an adviser to the Brazilian Workers Party (PT). In an exclusive interview with Brasil de Fato, Gerson Teixeira warns that prioritizing the needs of foreign markets could jeopardize the country’s food own chances at ensuring domestic sovereignty. “Everyday we can see that Brazil is becoming increasingly relied upon as a source of food security for foreign countries. However, this also undermines our own country’s right to food security,” Teixeira said. According to a working document drafted by Teixeira, Brazil allocates 45 percent of its territory for the purpose of grain cultivation. Of that total, 16 million hectares is cultivated to meet the demand of the Chinese market. 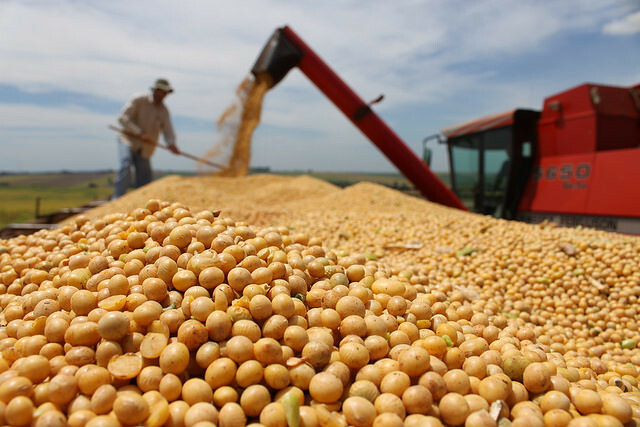 Meanwhile, the report also found that between 2016 and 2017, China purchased 53 million of the 110 million tons of soybeans produced in Brazil. In efforts to stem the growing power of agricultural corporations, Teixeira advocated for increased government regulation over the country’s food production system. During the interview Teixeira criticized the Temer administration for failing to address the country’s national food sovereignty objectives and demand for popular agrarian reform.